This build steps up from AMD's Athlon 200GE 2C/4T CPU to AMD's entry-level Ryzen CPU, which is a quad-core, four-thread processor. You won't go above 1080p, and you won't be at Ultra settings, but you can pull a respectable framerate in quite a few games at High or Medium settings. You'll also be a little more functional in core-heavy usage such as video rendering, although I wouldn't recommend this relatively low-budget build if video rendering is your main use. Importantly, this build is essentially the AMD equivalent to our Build 2 Intel; this build will perform a little worse for gaming purposes, but will be about $30-$50 cheaper on average than the equivalent Intel build. This build does leave open a lot of upgrade options, because the AM4 chipset will be in use for at least one more Ryzen generation. You could easily swap out the included CPU for whatever Ryzen CPUs release in 2019, if you want to upgrade at that point. And, of course, the GPU would also be available to upgrade regardless. Here is a video with benchmarks for the Ryzen 2200G and GTX 1050 Ti. CPU: The Ryzen 2200G is a quad-core, four-thread CPU which actually has its own integrated GPU (iGPU)! We won't be using the iGPU in this build, so you could just buy a Ryzen 1200, but the 2200G has a higher base and boost clock speed and the iGPU is nice in case you GPU dies and/or you need to trouble-shoot your build. The prices are essentially identical, so the only downside of buying the 2200G is that it has 4 MB of L3 cache versus the 8 MB of L3 cache in the 1200, but this is generally negligible compared to the benefit of the higher base/boost clocks. The 2200G can be overclocked and comes with its own cooler which can handle mild overclocks. However, if you really want to push your Ryzen 2200G's overclock to its limit, you'll need an aftermarket CPU cooler which will run you $30-$60 more. Motherboard: Any B350/B360 motherboard will do for this build; MSI, ASUS, ASRock, and Gigabyte are all reputable brands. In this case, we've stepped up to a larger ATX-sized motherboard instead of the smaller mATX board we used on our previous build, as the larger ATX boards will offer more expandability, more features, and generally better cooling for board components. RAM: This build bumps us up to a very solid 16 GB of RAM, which should be plenty for gaming for at least a couple of years. The speed/frequency of the RAM is moderately important for a build using any Ryzen CPU, so try to aim for higher speeds with 2666 MT/s at a minimum and 3200 MT/s being the maximum. Don't break the bank jumping from 2666 MT/s to 3000 MT/s or 3200 MT/s however, as it's just not that important and you'll likely only see 2-3% framerate increases from each jump up... which is around 1 to 3 FPS average when you're around 60 FPS. 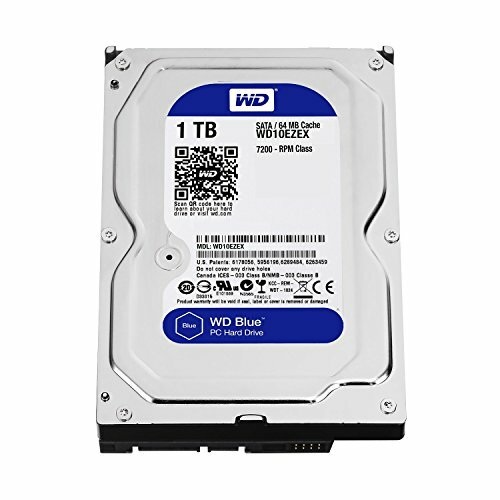 Storage: A 1 TB hard drive will be enough storage for most uses including quite a few game installs, and you can always add on more storage later via internal or external storage. This build is modestly budget-conscious, but we did make room for a 120 GB SSD. This is plenty of space for your operating system (OS) plus a game and productivity software (Photoshop, Chrome, Office, etc). Video card: The 1050 Ti is as low as I would recommend in terms of GPU quality. This is by far the part I would recommend upgrading if you have room to spare in your budget, with a 1060 6 GB or a used 970 being your best bets. Case: This is a highly personal choice. We have added a parametric filter for a low-cost case from reputable companies, but you will want to look around and decide what is best for you. We have increased the budget for the case to $40-$60 builds. You may want to add in an extra 120mm or 140mm case fan, such as the be quiet! SilentWings-series, to help with case airflow if you plan to overclock your CPU aggressively. PSU: Our PSU is selected from a small group of low-cost, but reliable, PSUs. The PSUs are picked from a parametric filter with these qualities: Manufactured by EVGA/Corsair/Seasonic (all reputable brands, generally-speaking), between 450-550 watts, and 80+ bronze-rated efficiency. 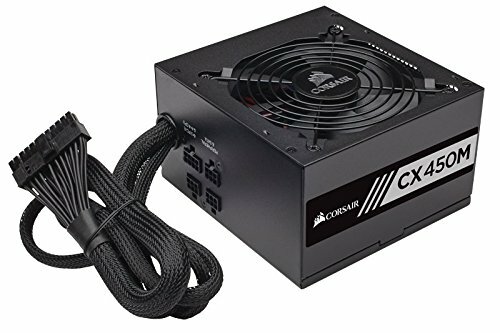 It's unlikely that anything in this price range will be modular, however, which doesn't harm the quality of your PC, but does result in a messier build with more cables/wires in the case than are needed.